Some books are better when shared. Take advantage of these bulk purchase offers. Library buyers and book retailers: All of the books are offered returnable and discounted in the Ingram catalog. Find the ebooks on Overdrive, and audiobooks on Overdrive and Hoopla. Give The Workplace Writer’s Process to a single writer, and they’ll be more successful. Give copies to an entire team or department, and watch what happens with your content development projects. 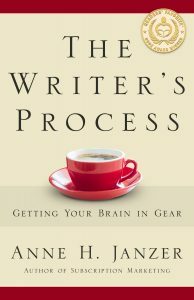 The Writer’s Process helps writers juggle creativity and productivity in writing, no matter what the subject. 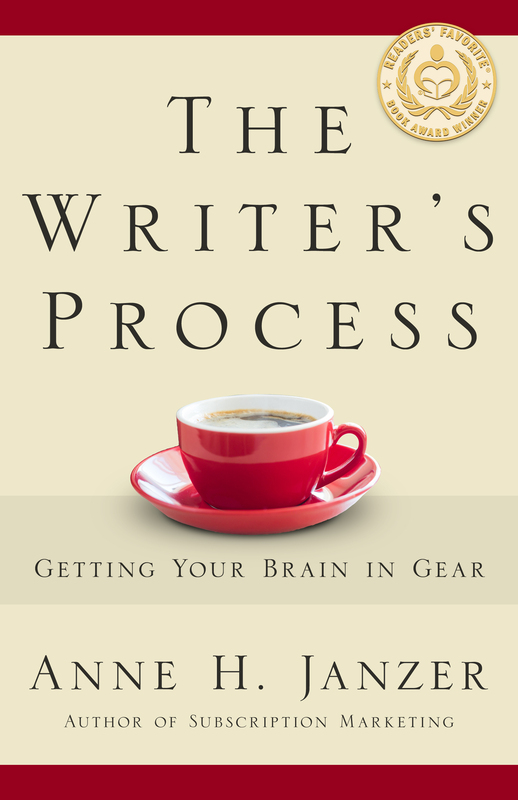 Give it to anyone who can benefit from a more fluid writing process. Purchase 10 or more copies for your team or company and book a phone call to talk about the writing challenges you face at your workplace. 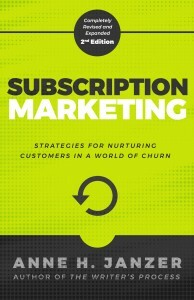 To take advantage of these offers, send a copy of the bulk purchase receipt to info [at] annejanzer.com. 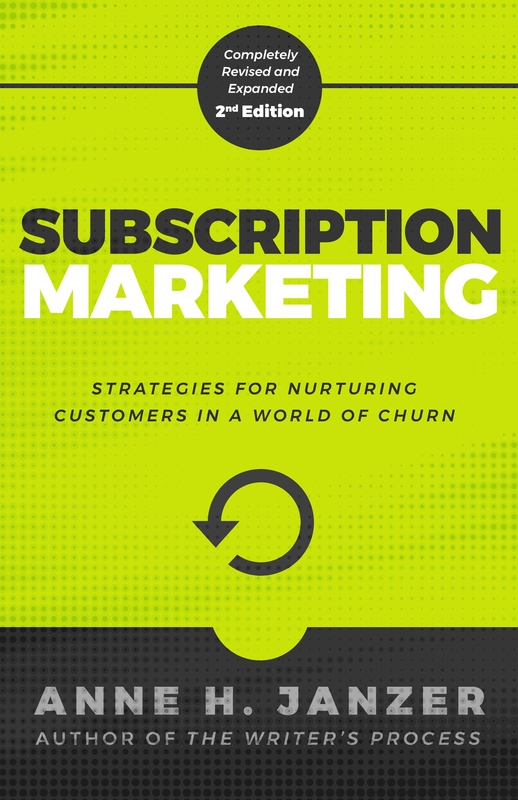 Now in its second edition, Subscription Marketing may just change the way you look at acquiring and sustaining customers.